This stunning refurbishment of an 18th Century brick and timber cottage is the work of interior designer Louise Holt. Originally built for the mistress at the next door school to live in, it is now a contemporary home with a modern and cohesive interior full of contrasting soft natural materials, and clean architectural edges (in the kitchen and bathrooms). All sitting comfortably within the existing stone architecture and exposed beams. It's situated inn the rolling Oxfordshire countryside, overlooking the pond on a picturesque village green and consists of four bedrooms, 2 bathrooms, study, utility, living room, dining room, kitchen, and guest cloakroom. 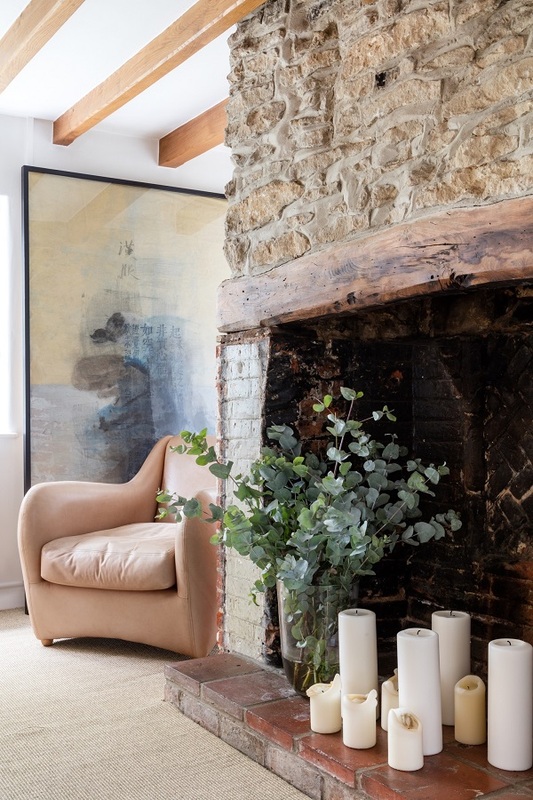 Complete refurbishment and interior design, with some structural renovation, to create a contemporary home with an inspiring interior, which would sit comfortably within the existing stone architecture and exposed beams. We contrasted soft natural materials, organic shapes and a restrained palette with the clean, architectural edges of a Bulthaup kitchen and bathrooms. We also reconfigured the gardens. 3. What aspect of the renovation are you most happy with? The open plan aspect to the ground floor, which brings light, space and a contemporary feel to the home, despite its cottage proportions. 5. What has been the clients' reaction to the finished project? They are very happy there. And so would we be. Louise graduated from the KLC School of Design in 2005, switching from a successful career in international finance. 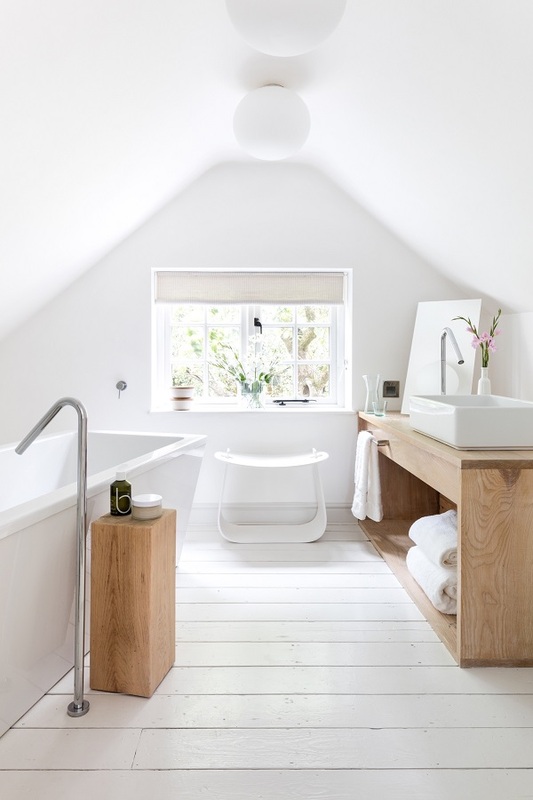 A founder and director of award winning Cloud Studios (Elle Decoration Britain's Best Designers 2015), Louise set up Louise Holt Design in 2016, a creative interior design studio with a reputation for creating elegant, intelligent, contemporary interiors. Projects range from the complete renovation of country manor houses and rectories to London town houses and apartments, plus properties in France and Mallorca.